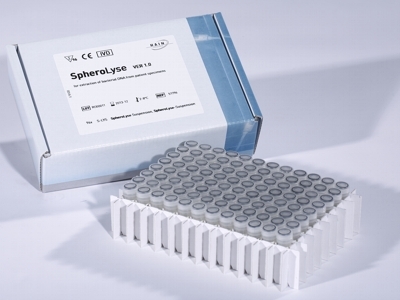 SpheroLyse allows for the fast extraction of bacterial DNA in only two steps. As starting material swabs from nose, throat, skin and wound can be used. User-friendly: All kit components are ready-to-use. The procedure is simple, without any pipetting steps and only takes about 25 minutes.